When I first wrote about my new love, my VitaMix blender, and mentioned that my daughter was making herself a batch of potato soup every day after school, I figured it wouldn’t be long before I posted the recipe. To tell the truth, it’s such a simple one, adapted from the VitaMix cookbook, that I decided to hold it in reserve for a time when I didn’t have anything new to post. Well, that time has come. Lately my cooking muse must be on vacation, so while I’m waiting for her to drag her suntanned bee-hind back home, I’ve been relying on a lot of old standards (mostly of the Ridiculously Easy variety) to keep us fed. On nights when I just want to clean out the fridge, I do a vegan version of the old “meat and three veg” where the “meat” is a simple bean or tofu dish and one of the three vegetables is a light soup. Last night’s meal, for instance, consisted of baked tofu, roasted asparagus, salad, and potato soup—hardly gourmet, but somehow elegant in its simplicity. On really rushed nights (and is there any other kind?) I can be serving the soup as a first course while the vegetables are roasting in the oven. 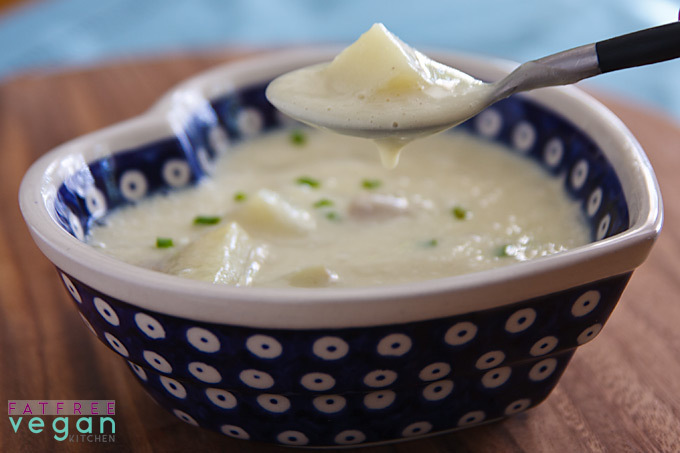 I usually don’t even bother to peel the potatoes because blending completely pulverizes the skin, but including the peel makes the soup a sort of gray-green color, so if you want your soup to be creamy white like in these pictures, you’ll need to peel your ‘taters. Just let them cool a little so you don’t wind up with scorched fingers like I did! Check out my video to see how quickly you can be enjoying this soup. Potatoes can be microwaved, boiled, steamed, or even baked beforehand, but microwaving is quickest. High-Powered Blender Users: Place two of the potatoes along with the remaining ingredients into the blender in the order given. Start machine on low speed and increase to highest setting. Blend for about 4 minutes, until steaming hot. Dice remaining potato and divide it among 4 bowls. Pour the soup over the potatoes and serve hot. Regular Blender/Stovetop Users: Chop the onion and sauté it until soft in a medium-sized saucepan. Cut the potatoes into cubes and add 2/3 of them to the pan, along with the broth, rosemary, white pepper, and salt. Simmer, covered, for about 15 minutes. Pour into blender along with cashew butter, soymilk, and nutritional yeast. Blend until smooth. Return to pan, add remaining potatoes, and cook, stirring often, over low heat until hot. Without cashews: 119 Calories (kcal); trace Total Fat; (1% calories from fat); 4g Protein; 26g Carbohydrate; 0mg Cholesterol; 305mg Sodium; 2g Fiber. I have a vitamix and while I use it everyday, I haven’t really use it to make soups. This looks simple and delicious. I am thinking this would taste just as good using sweet potatoes. Thanks for the idea. i actually exclaimed, “oh my goodness!” when i saw the beautiful texture that turned out in my food processor. what a delicious, simple soup — my favourite combination! Shellie, the cashews are totally optional, and if you look at the end of the recipe, I give the nutritional info for omitting them. Wow, this looks great – can’t wait to make it! Any suggestions for what to serve it with to make it a dinner? I always struggle with matching up food!! 🙂 Thanks so much for all the delicious recipes! This is our Favorite Soup! I always double the recipe and serve with broccoli! Tried this soup last week and it was amazing! I can’t believe something this easy/few ingredients tastes that good!! I want to make it for a potluck. Do you think keeping it in a crock pot on low would work? This is one of our very favorites of your recipes. Just wanted to tell you about a variation. Yams and sweet potatoes were dirt cheap at the local produce store, so I mixed russets, yams, and sweet potatoes in a double batch of this. It came out a pretty golden color ( I always cook this with the skins on) and had a subtle sweetness. I used a little more spice and salt to offset the sweetness, but ahh– it was yummy! For those who were wondering how this soup freezes and thaws, I tried it. The taste was just as good, but I’d say the texture suffered a little, becoming grainier and losing some of its silkiness. I think I’ll make only a batch at a time in future. Thanks so much for the feedback! I suspected that the texture would change, but it’s good to have that confirmed. OMG I’ve been making potato soup based on your recipe and eating a ton of potatoes a la Starch Solution and it’s been amazing! For potato soup I just blend some potatoes (often white) with some water/veggie broth and add a little garlic and onion powder. It’s soooo creamy. I didn’t even need the vegan milk. Then I added chunks of potato and even corn to make more of a chowder. 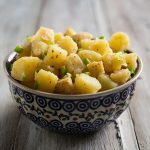 Once I discovered the creaminess of blended potatoes I even add the cream to my curry chickpeas and cauliflower on rice which is tomato paste based and that gives it a buttery look and taste that is similar to the fatty indian food I used to see. I think this cream can be used in pasta and even mac n cheese. Time to experiment! I’m making this tonight for dinner. 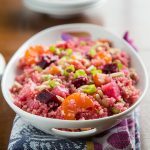 My husband and I just started the Eat to Live program and your recipes have been awesome so far. Since I’m new to all of this, out of curiosity what do the cashews add to the soup in terms of flavor, nutrition, etc? The cashews add creaminess and a richer/deeper flavor. Good luck with Eat to Live! This was a nice soup. Good creamy texture. I wasn’t particularly fond of the rosemary, though. I added just a bit of garlic powder and a touch of Bill’s Best Chick’nish seasoning to help my family accept it, since they didn’t like the smell of the rosemary in it. They are quite particular about seasonings and usually like just plain and simple. For my family’s taste, I think next time I will use Bill’s Best Chick’nish seasoning instead of the vegetable bouillon, leave off the rosemary altogether and use just a bit of garlic powder. I plan to make this again because the texture was so good compared to other vegan potato soups I’ve had. Thank you for this recipe! While I found it a bit bland I experimented a little and the end result was awesome. Building on your solid base I sauteed a bag of frozen corn in olive oil, paprika and cumin. I added this to the soup while it simmered on the stove and then added just a few drops of hot sauce. Amazing soup, can’t wait to make it again. This is my first soup in the Vitamix and I’m so happy I started with your excellent recipe. Loving your recipes. 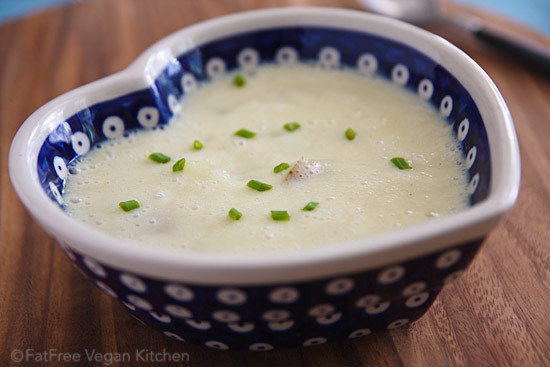 We are fairly new vegans and you have helped us with the transition.This potato soup is fast becoming one of our favorite meals. We have always liked corn chowder, so I throw in a cup of corn and a little soy bacon to the basic recipe. My husband can’t get enough. Thank you for this yummy recipe!! 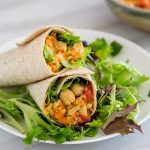 I’m new to vegan dishes and this one really works for my husband and I (even with the nut. yeast and cashews–wow!) And it’s so easy too. This will be one of our “usuals” each week. Thanks again! 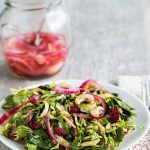 This is absolutely delicous and incredibly easy!!! So glad I found this ❤️ Thank you! Susan, do you think subbing tahini for the cashew/cashew butter would be ok? I would start will a little less tahini. It has a more bitter flavor than cashew butter so it may overwhelm the soup if you add too much. My vita mix has been my favorite piece of equipment for many years. With their guarantee, it is surely worth the price. The one time it wasn’t working right, they sent a prepaid label, fixed it and had it back in 5 days. YAAAA. Now my next favorite is my electric pressure cooker. WOW a pot of beans, or soup in less than an hour. You live and learn, I was always afraid of a regular pressure cooker. I just made your delicious soup for lunch! Amazing!! So quick, easy and tasty. I topped it with a bit of shredded green cabbage, shredded carrots, chopped fresh spinach and cut cherry tomatoes. So good! Thanks!!! I to have just finished making your vita mix potato soup. It was warm delicious and easy. I so appreciate your recipes. I use them all the time. In the process of making this now. I am not vegan, but love nutritional yeast. A reviewer mentioned using corn in the soup. I love to make corn broth with corncobs and use in soups (just hate to waste anything). So will do that in this soup. I am a new subscriber to your site. I love all of your recipes, and so grateful that you list the nutritional values. I am waiting to buy your cookbook, (is there one)? I need to ask about the sodium content in most of your soups… Where is the sodium coming from? Is it the vegetable broth? I can leave out table salt, but it doesn’t look like you use that much. Hi Jette, I don’t have a cookbook yet, but thank you for the interest! To answer your question, the broth I use is the primary source of sodium in my soups. If you just replace it with water, you’ll remove a lot of the sodium. I added a little bit of tumeric and fresh parsley, pretty yellow but super fresh! My refurbished Vitamix was just shipped. This will be my first recipe. Seriously, yum!! Thank you for all the work you put into this blog. You are a big reason that I’m three years into plant-based eating and much improved in health! I’m so happy to hear that, Anne! I hope you enjoy your Vitamix! My doctor put me on a very restrictive very low fat, bland diet. Not as restrictive as BRAT, but close. Today at lunch I’d had enough. I was about to eat a bowl of chickpeas from a can and knew there had to be a better way. I found a mock tuna salad recipe over on your ffv recipes that was suitable. And for dinner…it was this recipe. I could’ve cried at the first bite. Creamy flavorful bliss. You’ve never let me down! Thank you for saving me from me from another day of a flavorless diet. Perfect for post flu recovery! This was absolutely fantastic. Loved the subtle taste of rosemary and white pepper. The ingredients really work well together. I don’t have a blender so I used my food professor. To save cleanup time and prep time, I processed the onion in there first, then removed the chopped onions to sautee, and next in the food processor, I added almond milk, nutritional yeast, and 2/3 of the potatoes (not cubed, just sliced in half). I only added 1/3 of the potatoes (cubed) to the pan and didn’t transfer anything else to the food processor. This saved a lot of time. I’m completely in love with this soup and it will be in my weekly routine! Thank you so much. I just made this soup for my 6 year old granddaughter and myself, thank you for this delicious recipe. I will definitely be making this again and again. Made this soup with almond milk in the Vitamix and my family loved it! This was delicious! Definitely add it to my meals plans! I doubled recipe and it was just enough for 3 of us?? I didn’t serve it with anything else and we are big eaters! Lol! Thanks for sharing!